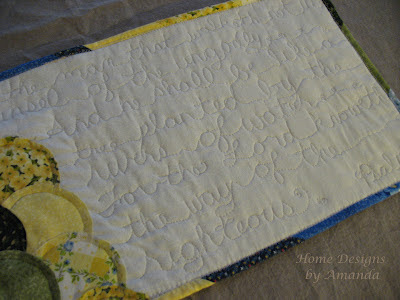 Today's finish is actually one of last weeks projects for Curves Class with Rachel from Stitched in Color. 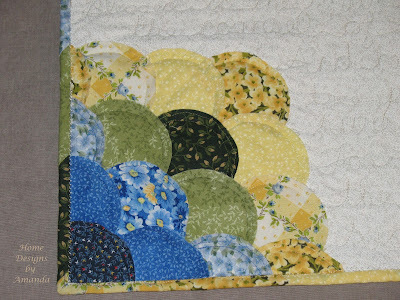 I'm really enjoying the class...but am slightly behind on doing all the projects - but the beauty of the class is that we don't have to do all the projects! However, all the projects are so cute...so I think I'm going to work on the ones I don't get done during class after the class is over. The project was a Clamshell pillow. Well, at this stage in my families life, decorative pillows are not really a priority :) So, I was going to make this pattern into a book clutch to give as a gift. 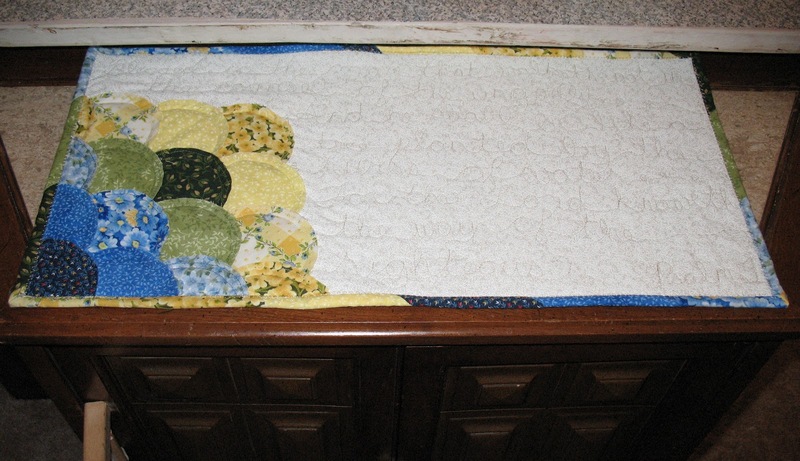 However, once the FMQing that I chose was done, I decide the receipient would like it flat...like a table runner! 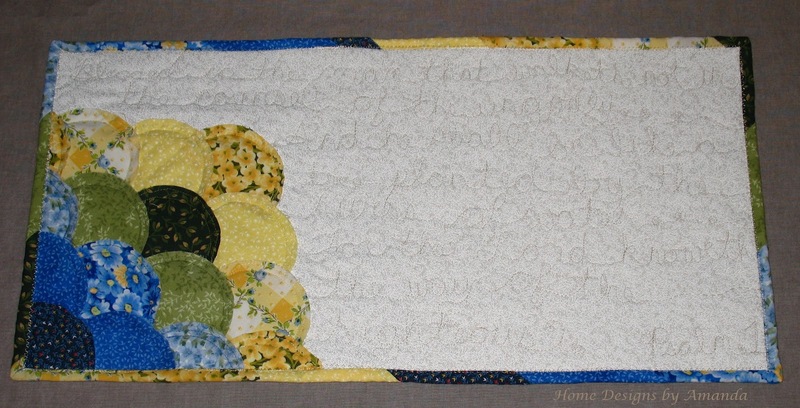 The Quilting in the cream material is sections of Psalm 1. I haven't FMQed in a while, but this turned out nice...I think the tension being fixed just after Christmas helped it turn out nicer! I practiced on a small scrap with the words written out with the washable pencil, but it was better when I just freely did it without the pencil. And a picture of it on my little table at the end of my big sewing table. Adding this spectacular finish to the Finish it up Friday at Crazy Mom Quilts with Amanda Jean. The above scripture is what﻿ is writen on the table runner. One of my favorite passages. I love it, that is so awesome! Thanks for sharing.